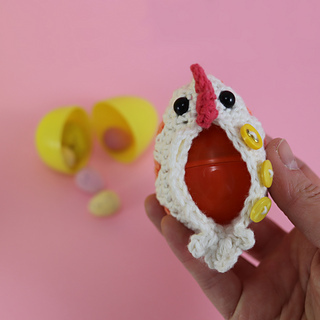 8cm by 6 cm when a toy, will fit a 6cm by 4cm plastic egg when a cozy. 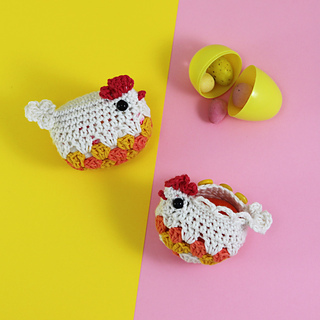 These wee little hens are the perfect size for hiding away small treats for an Easter egg hunt! 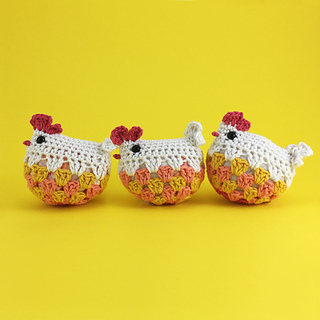 There are two styles of granny squares and two ways to finish the amigurumi. 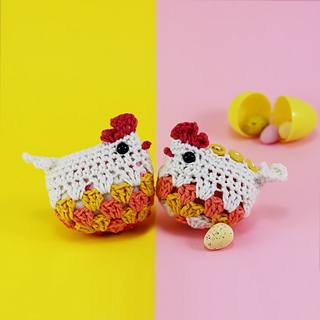 It can be made either as a stuff toy or a plastic surprise egg holder, it can even hold a foil-wrapped chocolate egg about chicken egg size. Each hen is a very quick make that will take less than an hour from start to finish, my personal record is 35min so far! The pattern is written in US crochet terms. 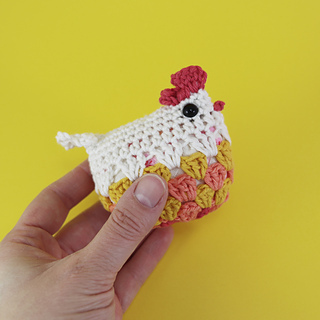 There are step by step photos detailing how to make the pieces and sew together the toys, and clear charts for the granny-square style sections. 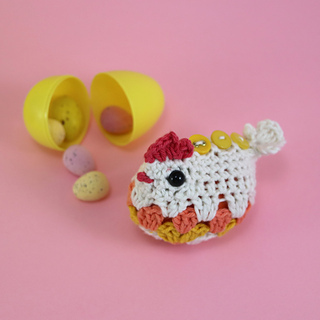 When made with 3.5mm hook in DK cotton yarn the stuffed hen measures 8cm wide by 6cm tall. A selection of DK Cottons in any colour combination you like, the samples are made with Paintbox Yarns. 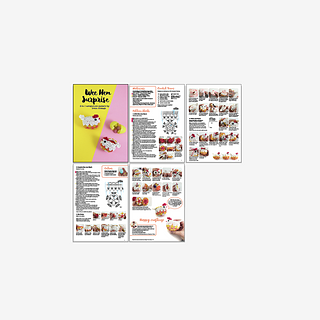 This pattern is great for using up yarn leftovers too!